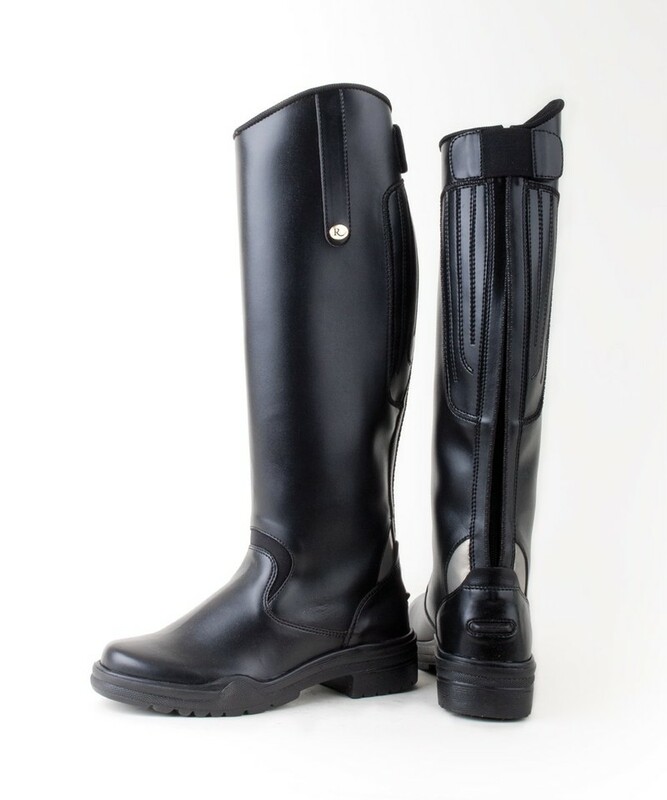 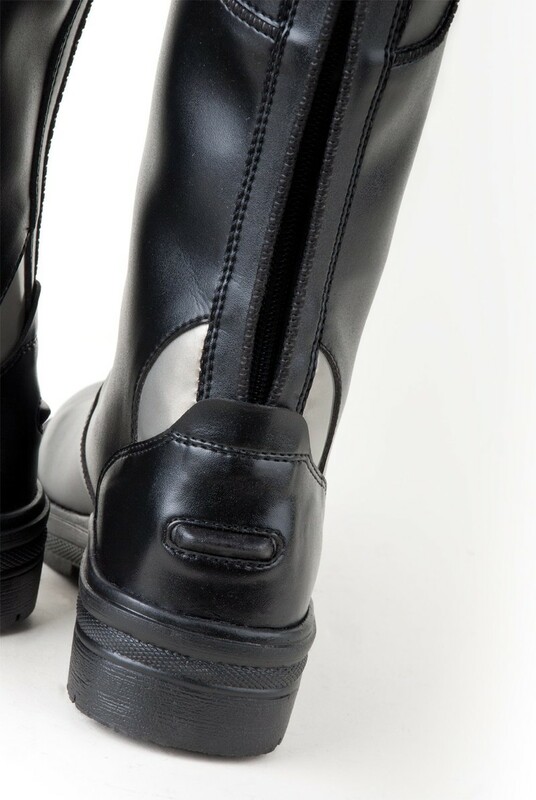 These long boots are made from a synthetic (non-peel) material fully lined with full length centre back zip, tab closure to the side and an elasticated rear panel for size variation. 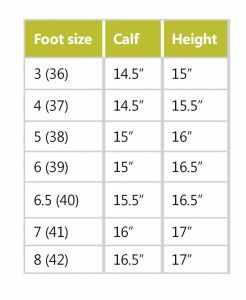 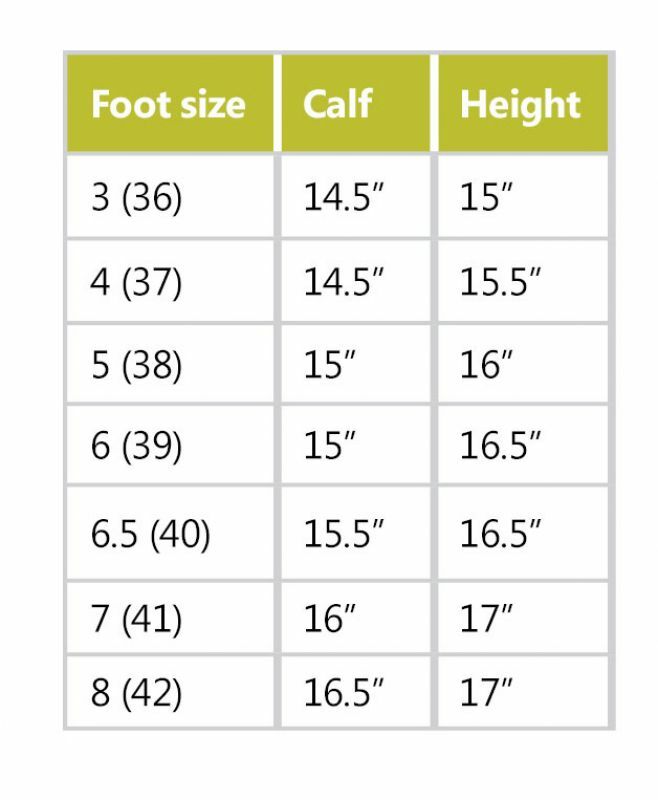 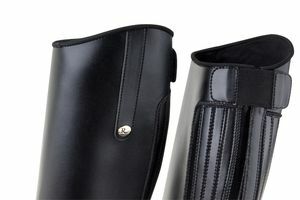 The use of this stretch panel makes these boots ideal for a wide range of leg shapes and ensures more flexibility in the leg whilst you are riding. There is also a neoprene join above the foot to ease bending and help prevent stress on the boot. With reflective inserts at the heel for increased visibility and a non-slip sole for safety.